It’s been a few weeks since Apple gave us iOS 7, and like anything the tech giant releases, it’s been analyzed, re-analyzed and overanalyzed. For most people, what’s the real difference? The app icons look a little different, and there are a few UI changes, but it’s still an iOS product. As we wrote on our blog last month, iOS 7 is the brainchild of famed Apple designer Sir Jony Ive. His strides to near the top of the Cupertino, Calif.-based giant have been well-documented, and it feels like iOS 7’s minimalist design is his masterpiece. While some people favor more flair in their design, sometimes the simple approach is best. That’s why we have a new favorite app. Fitlist is a recently released fitness tracker — and its interface is even simpler than its name. 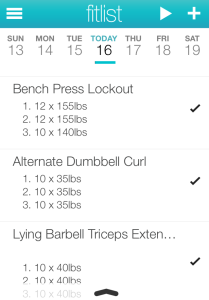 If you’re looking for an app where you can simply log your reps when you’re lifting weights or your time doing cardio, this is about as basic as it gets. The app is very straightforward. I mean, VERY. STRAIGHTFORWARD. 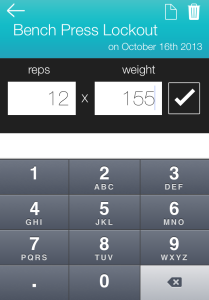 Users click a plus sign to enter a new exercise, type its name, then type the amount of reps and weight they put up. You can duplicate it when you do multiple sets, and that’s really about it. Now, please don’t misconstrue the quick explanation as diminishing or an insult. The app is simple, but what else do I need from it? All I want to do is keep track of my workouts to make sure I’m getting stronger over time. 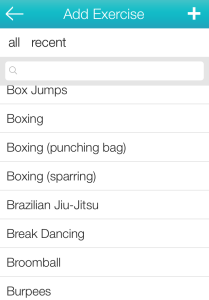 The layout is a white calendar, and users simply swipe to see previous days or create future workouts. One minor drawback for people who are just getting into working out is that there is some level of jargon involved. Some people might be thrown off by some of the terms. For example, I’ve been working out for a while, but I didn’t know I have been doing “Dumbbell Bulgarian Split Squats” for months — I just saw someone else doing it and started calling them “the reps that hurt my mind, body and soul.” After a few Google searches, though, I was able to figure out what they’re called, and sure enough, they are an option in Fitlist. People who choose to get their workout from creative means such as Zumba, CrossFit or even Brazilian Jiu-Jitsu will be happy to see Fitlist offers those in its more than 1,000 options. If you’ve invented the next great exercise, the app allows you to create your own exercise and add it to your workout. 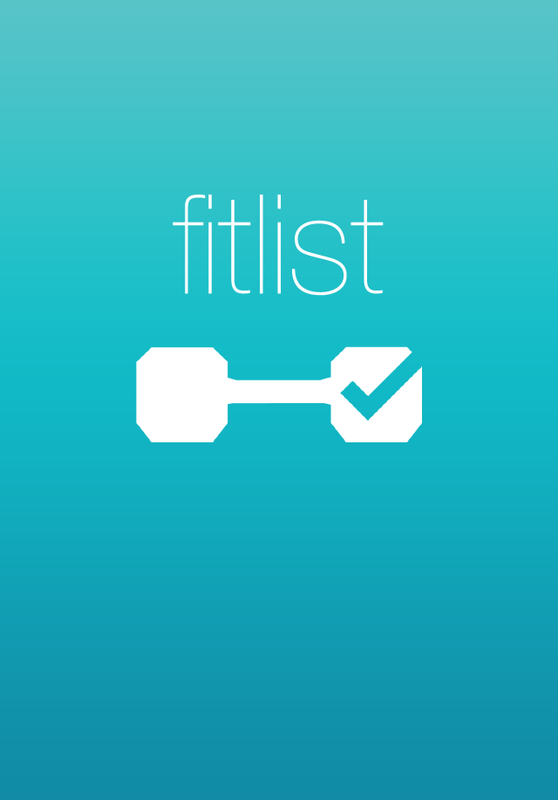 Overall, it’s safe to say Ive and minimalists everywhere would definitely approve of Fitlist’s simplicity and functionality — and so do we.